Come and have a go at rowing this year at our drop-in taster session. Sunday 17 March, 10am to 12pm If the weather is kind, you will have the chance to get out in one of our boats with experienced rowers. – Try our 500m ergo challenge to win a prize. Also, sign up to our 6 week LEARN 2 ROW programme, which starts Wednesday 27 March. Ten people maximum. Please wear gym kit and shoes/socks you don’t mind getting wet plus a change of clothes and towel to dry your feet. We accept boys and girls from the age of 13 years and upwards. You don’t have to have any experience. Please bring along friends, family, colleagues who you think would love to have a go. For more information please email contact@hbarc.org.uk or keep up to date on our Facebook page. Want a new challenge for 2019? Want to be a part of an enthusiastic, competitive, award-winning and friendly team? We’re always looking for members to join Herne Bay Amateur rowing club. We’re open Tuesday and Thursday evenings at 6pm and Sunday mornings at 10am. Come down to the club to get your free taster sessions or contact us via Facebook or contact@hbarc.org.uk to find out more. 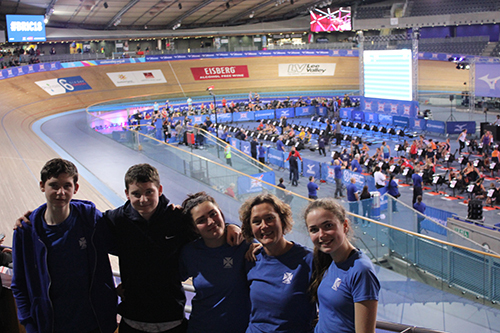 These five were thirteen year olds Bradley and Lewis Perry-French, fifteen year olds Heidi White and Poppy Webb and master rower, Liz Taylor. All competing against world athletes and rowers their own age from schools and clubs from around the country. exhausted, but still buzzing from the adrenaline and excitement of being a part of this major rowing event. place and Poppy did well to get to 13th place. off strong and fast in the beginning of their five minute race, but started to tire, but should still be very proud at getting joint 20th and Bradley at joint 24th out of a whopping 83 competitors! 18th place only 1.2 seconds later. 25 year old GB Rowing Team member, achieved an incredible 06.44 result, beating the other ladies. The men’s Olympic team were up, featuring Mo Sbihi, who beat Adam Neill by just one second and getting sub 6 minutes on his 2k test with 05.41! Something all young rowers will aspire to beat now I’m sure! the responsible adults that joined them. All five of the competitors should be extremely proud of themselves for taking part in this star-studded event. this competitive club. Contact us for more information. 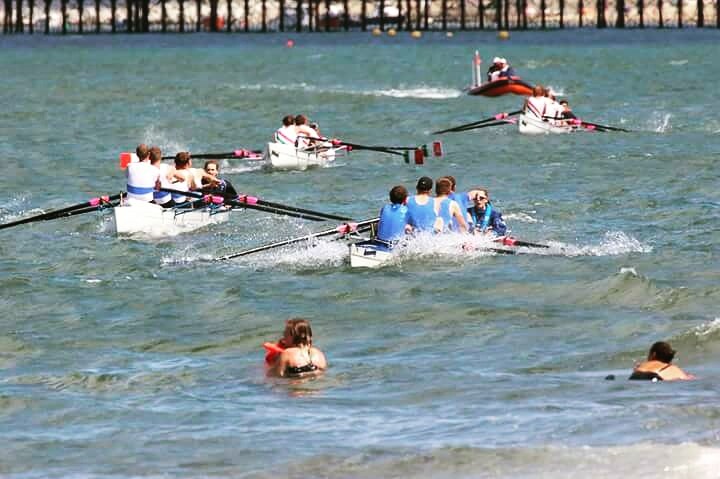 Saturday saw hundreds of rowers taking part in the 62nd South Coast Championships, this year hosted by Deal Rowing Club. 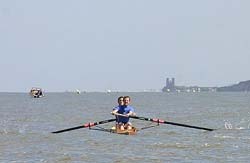 35 of Herne Bay Amateur Club’s fittest rowers entered into 13 out of the 24 races; five of those included races of the highest calibre with men and women competing against top crews from each of the three coastal rowing associations. Having trained extremely hard throughout the summer to be a part of the Champs, our rowers of all ages spanning from 12 years to our oldest of 75 took part in the final regatta of the year and they should all be very proud of their achievements no matter where they came in their races. As well as a second and plenty of third and fourth placements, we had one crew come first throughout the day. These boys need no introduction, but they have trained long and hard together, being coached by long-standing rowers and members of the club, Keith Groves and Mark Jeffries. These 12 to 14 year old boys are J14 CARA champions of 2018 for the second year running but also the only crew to have achieved first place from the club in this year’s South Coast Championships. Well done to William White, Bradley Perry-French, Lewis Perry-French and Jacob Webb, with Jasmine Amos steering them into first position. The J14 girls including Lucy Horton, Ella Rose, Maisie Jeffries and Tamzin Vickers coxed by John Cox were the only girls crew entered into the J14 girls race, and were therefore put together to race with the older, stronger J14 boys. The girls were awarded the J14 girls category winning medals and a trophy. These girls haven’t trained for long as a crew but hopefully next year we will see them adding more trophies under their belts. The five championship races included the Men’s Junior/Senior crew with Luke Taylor, Harry Taylor, Tom Harris and Manuel Marques who were entered in as a late entry. The same crew were a favourite to do well in the Men’s Junior race. They could only come away with a third place in both races, but first out of CARA crews in the Junior race. Of the Masters 40 race John Cox, Darren White, Stuart webb and Liz Taylor with coxwain, Maisie Jeffries put up a good fight but were beaten by Lymington, Deal and BTC clubs. The other two races that the club were betting on was the Ladies Junior four consisting of fifteen year olds Poppy Webb, Heidi White, Vice Captain Emily Noyes and Steph Rondel in Bow, coxed by the young Maisie Jeffries. This was the ladies final race of the season as juniors and will feature in the senior ladies races next year due to their winning streaks throughout the summer. Unfortunately the ladies couldn’t quite beat the Hants and Dorset crew, Christchurch or Hometown crew, Deal who came in first. The water was unforgiving and they hit some tough water and at one point a large wave turned the rudder to nearly hit Coal Porters boat side on! The Men’s Senior four race was the important race of the day, with the Bowl trophy as the prize to aim for. Jeffries again was the trusty coxwain to steer the four strong men, but beaten into second place by rivals Itchen Imperial. 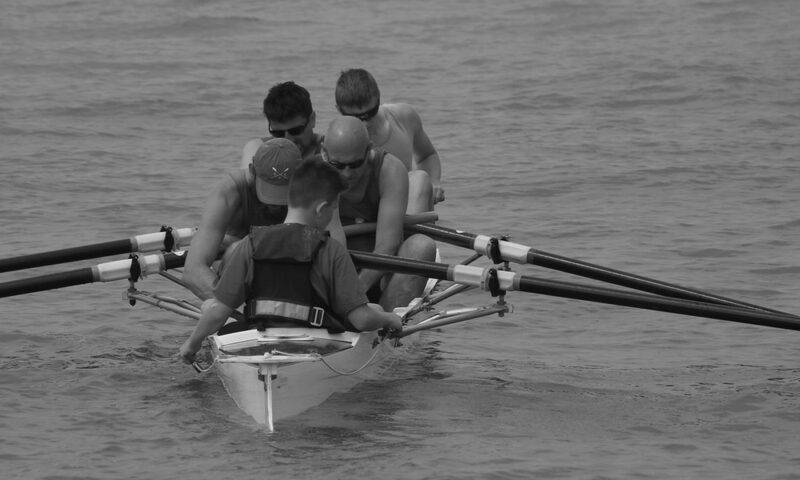 The crew consisted of Will Campbell in Stroke position, Dan Ritchie and Tom Walton with Ryan Hosking in the bow. Also talking from his heart, captain, Darren White said a few words about the club’s performance throughout the year: “I could never have imagined the depth of satisfaction and overwhelming pride the past few months have given me. So even though the club didn’t achieve the goals they wanted at the Championships, they have achieved awards and prizes far greater than expectations from the season’s races and regattas. The Club’s Annual General Meeting was held at the Boathouse on Friday the 19th January. The Viking Shield Regatta takes place each year before the start of the CARA summer Regatta Season. The Viking Shield is a trophy awarded to the fastest coastal pair in an annual competition between the Kent Rowing clubs. The winning club also have the honour of hosting the Regatta the following year. The event has a special significance for Herne Bay Rowing Club as Ryan Hosking and Darren Ingram won the shield 10 times in a row which is undoubtably a record and in recognition of this fact Herne Bay named a pair boat after them in 2010. However due to bad weather the Regatta was cancelled and the trophy awarded to the fastest Kent pair at Folkestone Regatta – Deal – who will host the 2013 Viking Shield Regatta.